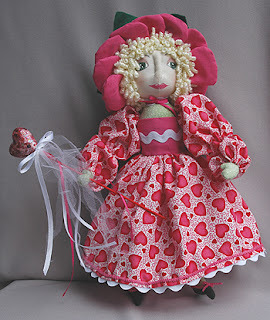 Heisler's Creative Stitchery: Newest Valentine Dolls! Finished 2 more dolls for Valentines! These are both at my eBay store, too. I used a pattern by Back Porch Pickins and made some changes to it. First I reduced the pattern, then I made a ladybug lady into a flower fairy. Both have leaf wings on their backs. I used felt to make the leafy hats. The wings, petals, felt hat, and clothing are my designs. 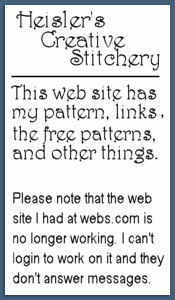 The body is the Back Porch Pickins pattern. Still working on a valentine witch. Also have started to redesign the pattern I've been (not)working on since last year. 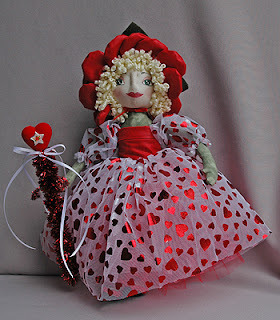 Finally realized that the black and pink fabric I was using was wrong for the bag doll but perfect for a Valentine witch! WoW! EBay has certainly upset everyone by changing the feedback and fees we pay. Never could understand why they treat their sellers so badly when they depend on us for money. Last year it was store owners and this year it's everyone. We can only hope another auction site will finally become bigger and better than ebay. Here's a link to story over at cnn about auction sites and how mad sellers are. I thought about opening an Etsy store but no one seems to sell much over there. 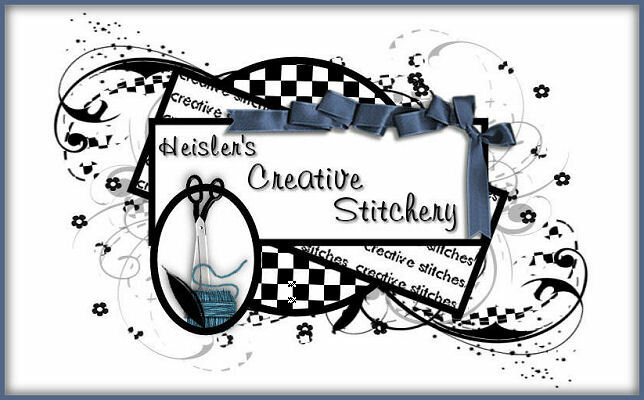 Besides then I'd need some place for the tatting supplies too. Like most of us, I'll be at eBay until they finally drive me away with too high of fees.